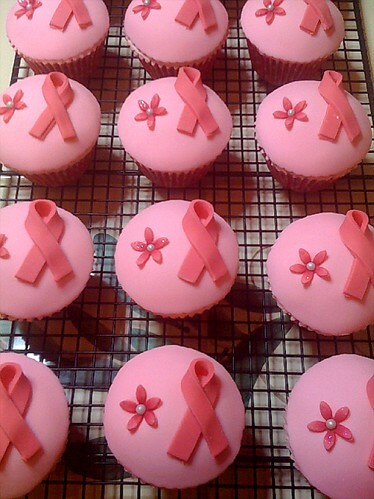 Supporting Breast Cancer Research, originally uploaded by Epiphany Cupcakes. I made 48 of these to sell at work on the 'Wear it Pink' day to raise money for Breast Cancer Research. Vanilla sponge with rose buttercream and fondant. Ladybug & Butterfly Trail Cupcakes - Made for my son's School Cake sale.